3rd seizure in 12 months - illegal traders arrested! 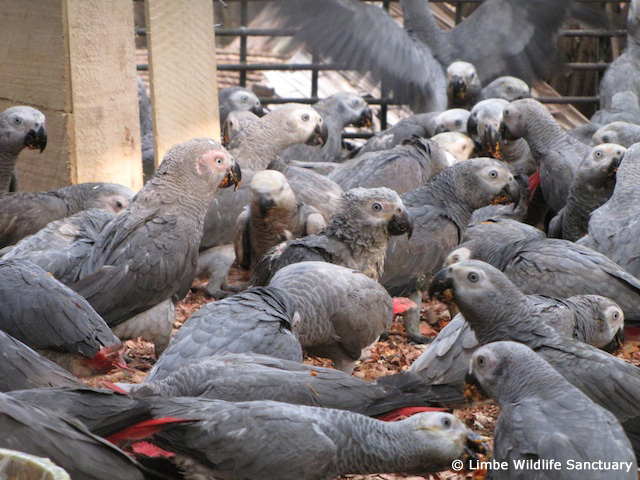 Cameroon's Ministry of Foresty and Wildlife (MINFOF) and the Last Great Ape Organization (LAGA), in a joint operation, have rescued about 700 Grey parrots bound for Nigeria. 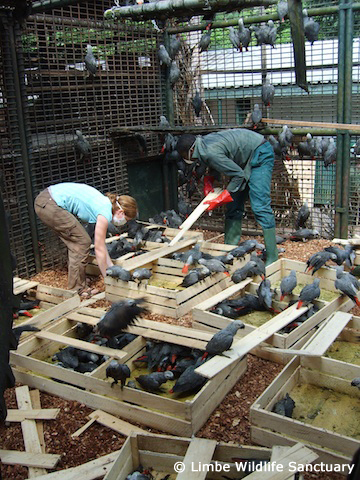 The birds were found in appalling conditions: crammed into small crates, 11 in all, with only 16cm (6 in) of headroom. They had no food or water, and 48 were dead on arrival. Because of this confiscation, two dealers have been arrested and a warrant was issued for a third individual. In a recent report released by the WWF, Ofir Drori, Director of LAGA, stated, "This is a very, very lucrative trade. The margin of illegal revenue from trade in this species is very high, sometimes more than trade in ivory, which has a better international profile…"
The surviving birds have been sent to the Limbe Wildlife Centre. The centre, which last year received about 1500 Grey parrots in total, still had 150 birds that were recuperating from their ordeal of last year. That brings the current total to between 850-950 birds, a final tally of which will be determined at a later date when the birds are ready to be released. Until then the birds will be treated with a preventative cocktail of antifungal and de-worming medication. 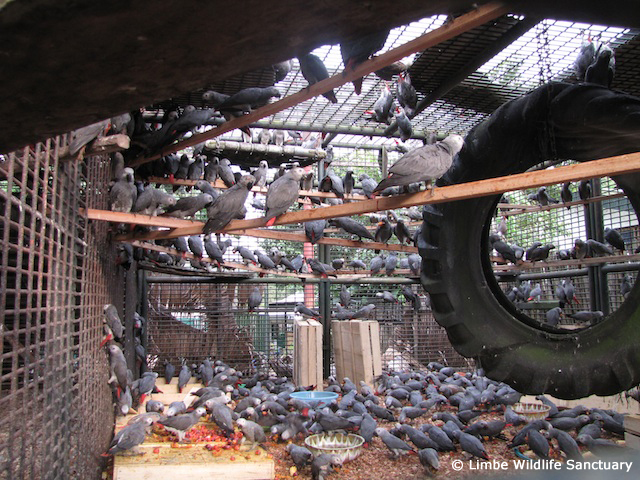 In response to this urgent situation the World Parrot Trust, through their FlyFree program, has sent $5000 in emergency funds and is also providing technical guidance to the Limbe centre. Grey parrot population declines have led many countries in Europe, North America and Africa to ban their trade altogether. Although measures taken thus far have resulted in much reduced trade numbers globally there is still more work to be done.